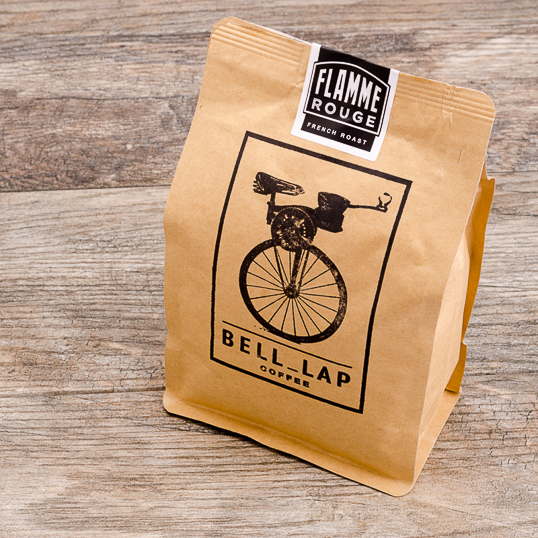 Our darkest roast, is rich and full-bodied with delightfully distinct bittersweet chocolate highlights. This coffee blend combines a predominant amount of beans from Central America with dashes of Indonesian and African beans mixed in for highlights. 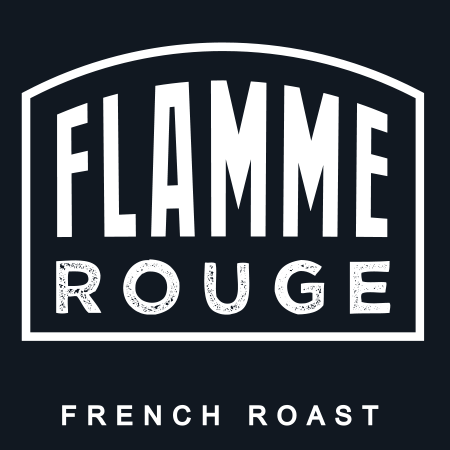 Namesake: The Flamme Rouge is the Red marker at 1 kilometer from finish in the Tour de France. We really like Flame Rouge and subscribe to it. A nice full bodied coffee that is smooth and not bitter. 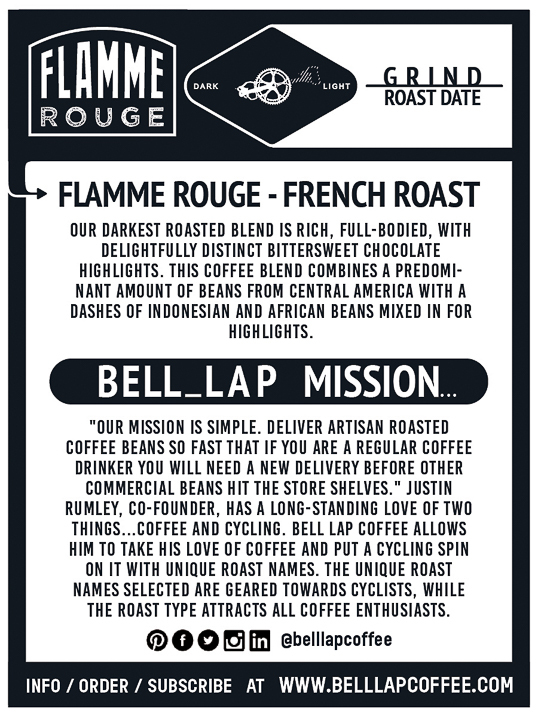 The Flamme Rouge is one of my favorite roasts. Great full-bodied flavor and consistent from start to finish. I highly recommend it! First, the aroma from just opening the bag is amazing! The skill and care taken in the bean selection and roasting process is evident. Brews a smooth rich full-bodied coffee without any trace of bitterness or burnt flavor common in so many other dark roasts. This will certainly be a repeat purchase for us.